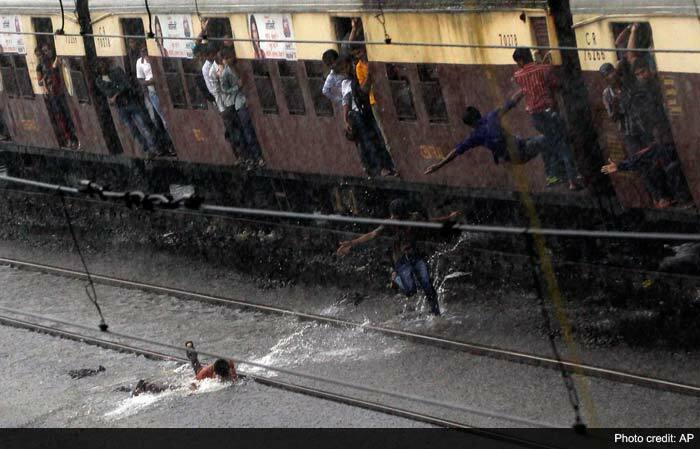 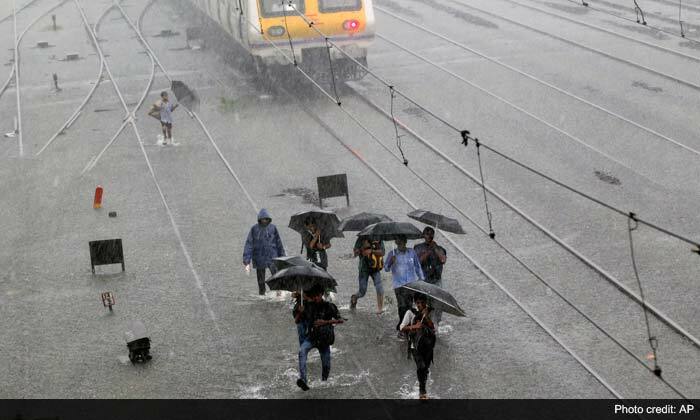 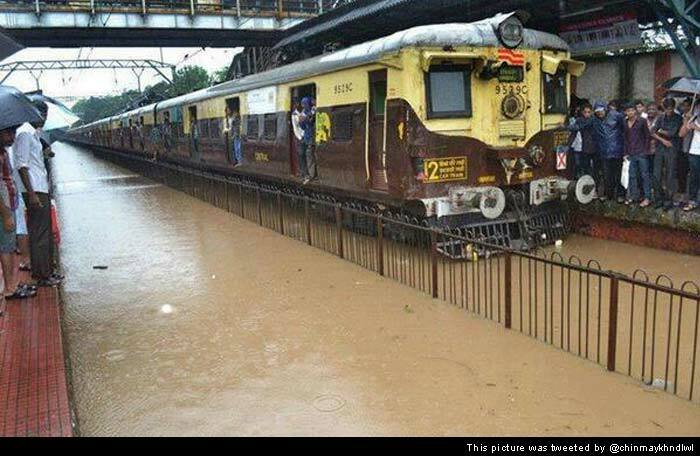 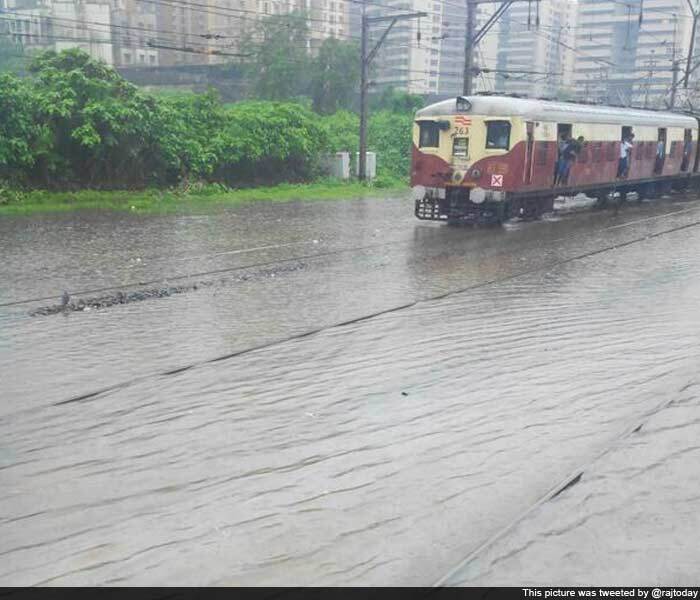 Local trains are running at least 20 minutes late in Mumbai today and the Met department has warned of very heavy rain for the next 72 hours. 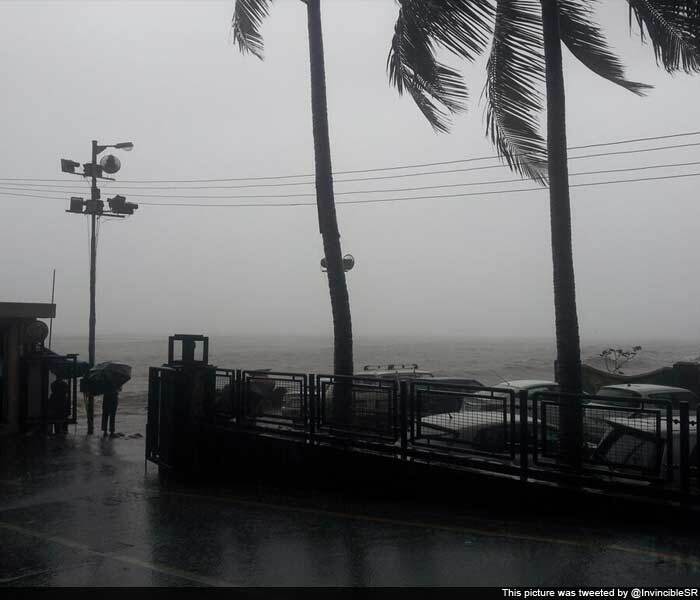 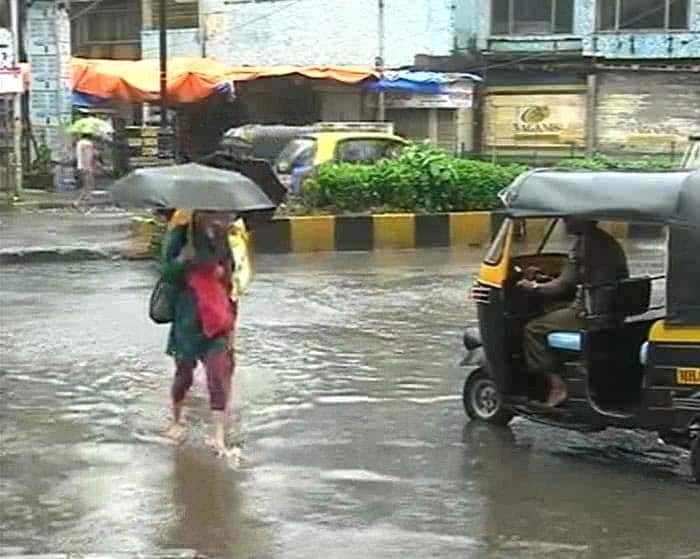 The MeT department has predicted heavy to very heavy rainfall in Mumbai, and a high tide measuring 4.95 metres, which is expected at 1:27 pm today. 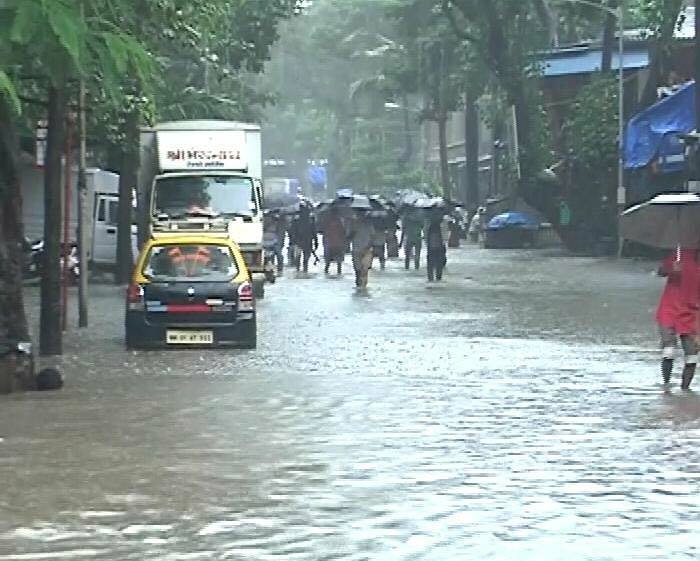 Municipal Corporation of Greater Mumbai or MCGM has asked residents to remain indoors and avoid venturing out if possible. 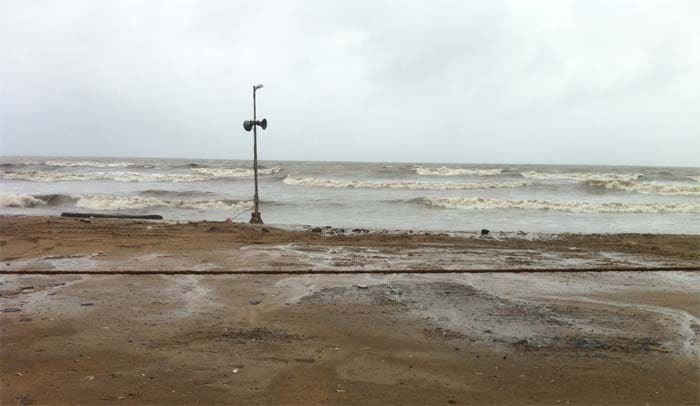 Rough waves can be seen at the Juhu beach. 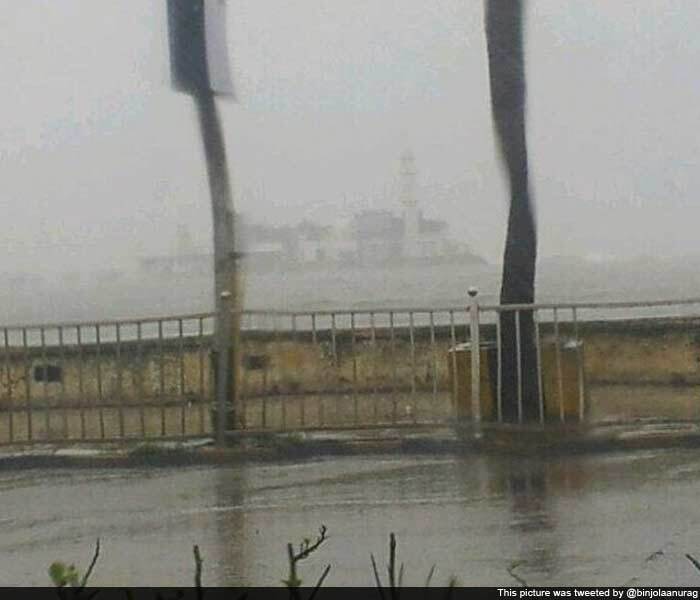 People are avoiding the area and the roads leading to the beach are nearly empty. 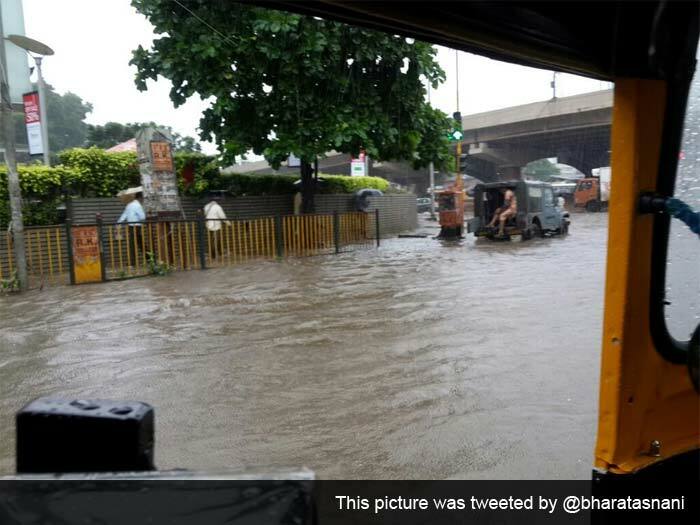 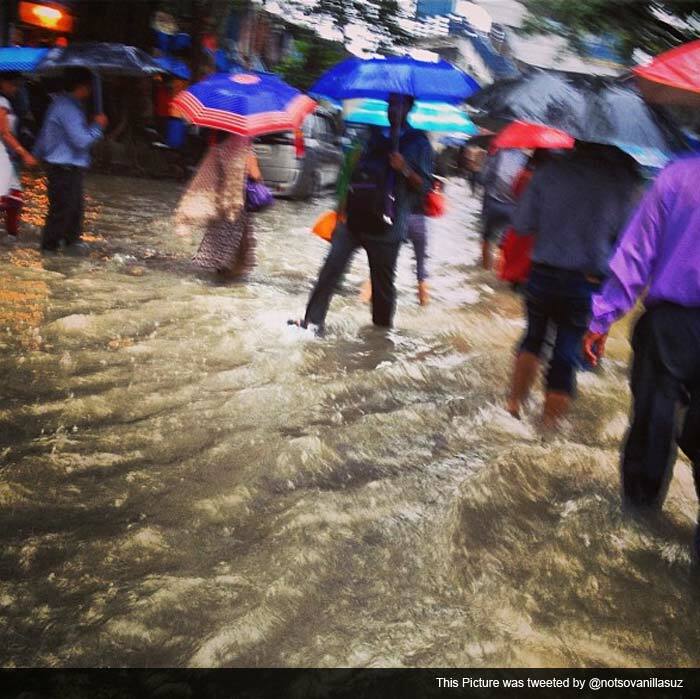 Seen here, a city bus makes its way through a flooded street in Bandra. 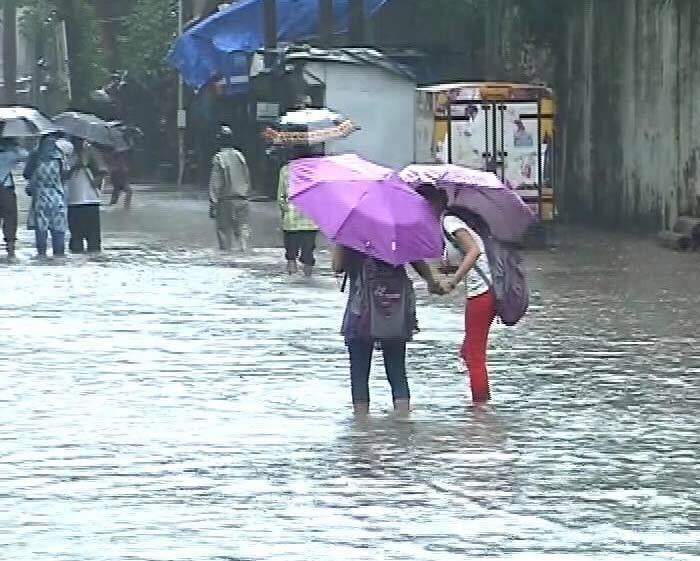 Seen here, a woman wades through ankle deep water in Bandra. 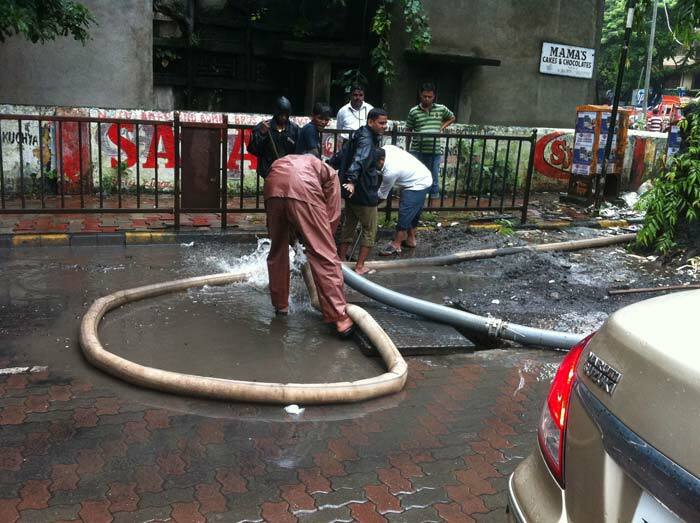 Brihanmumbai Municipal Corporation, the city's civic body, gets to work at Santa Cruz's SV road. 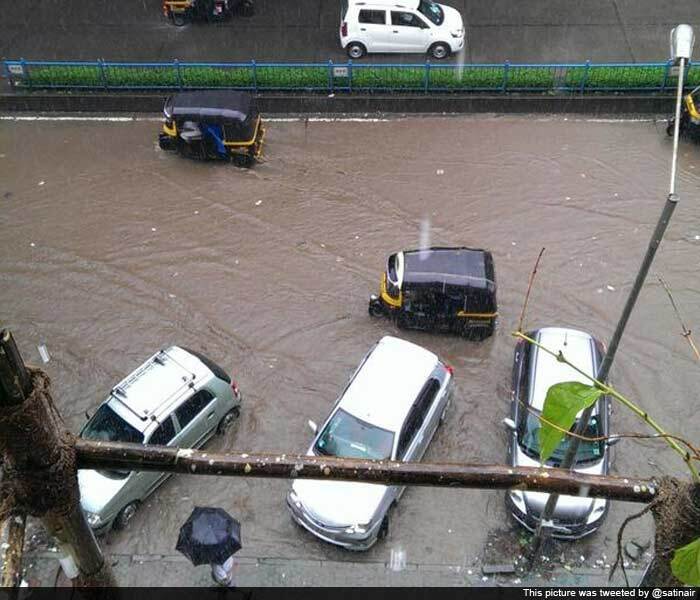 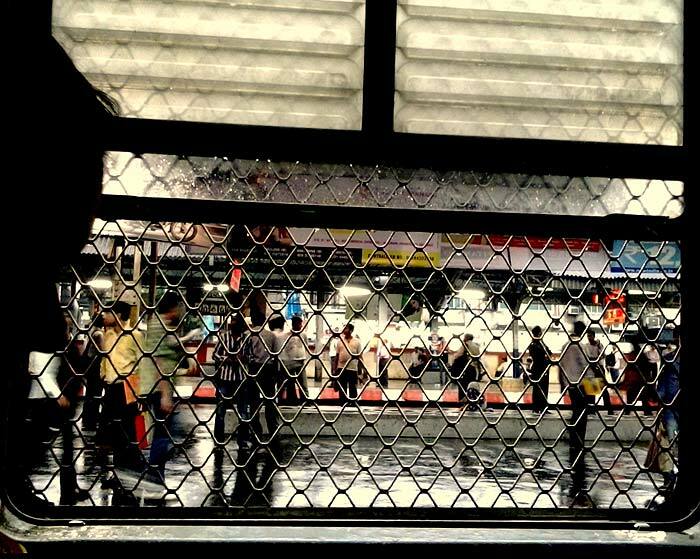 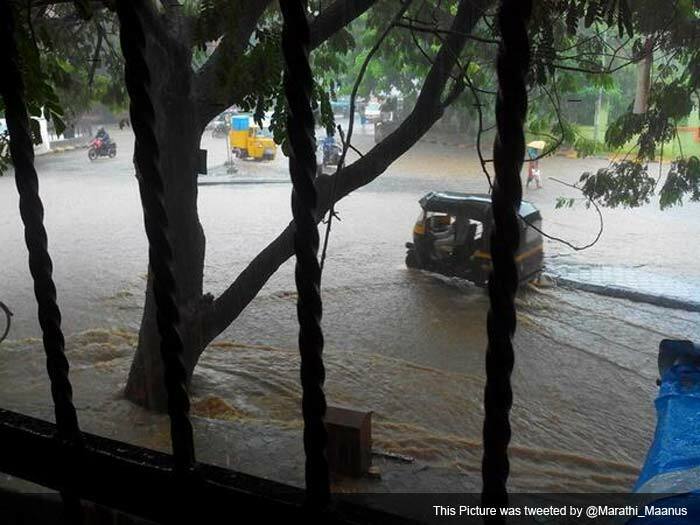 Susan Cheryl Noronha tweeteed: And that's #mumbai #rains for ya! 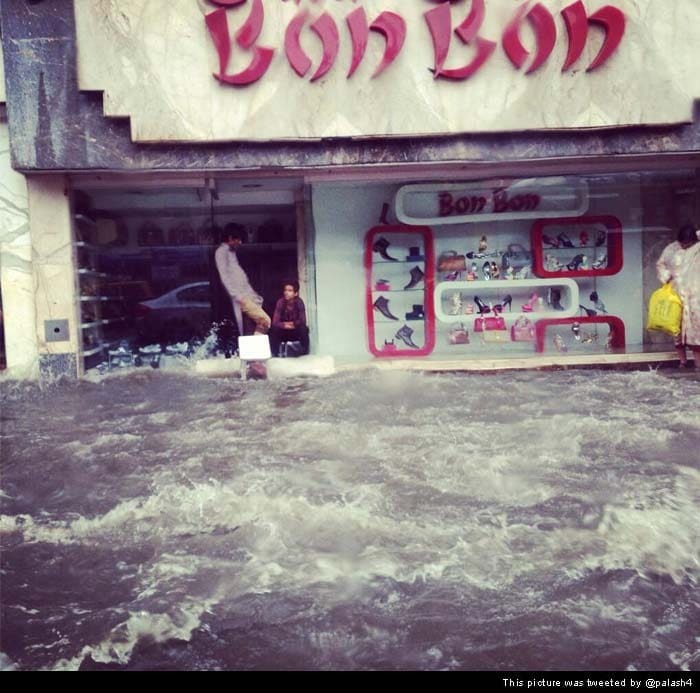 #floods already! 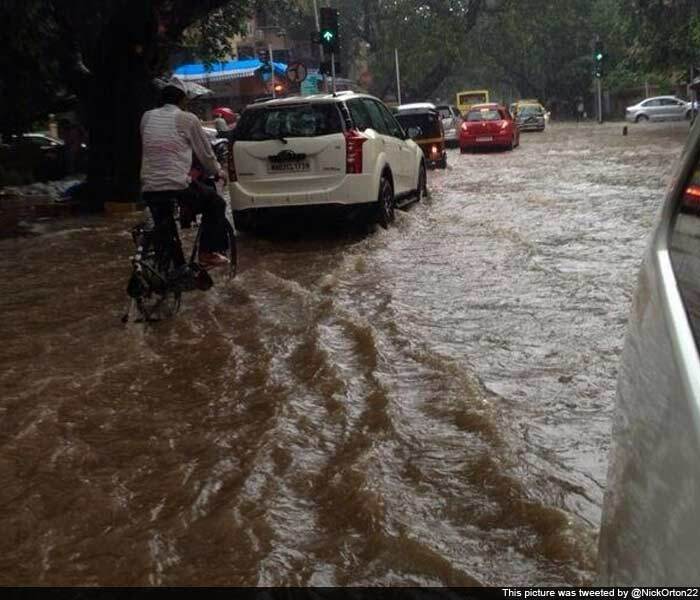 Bharat tweeted: Outside Oberoi Mall. 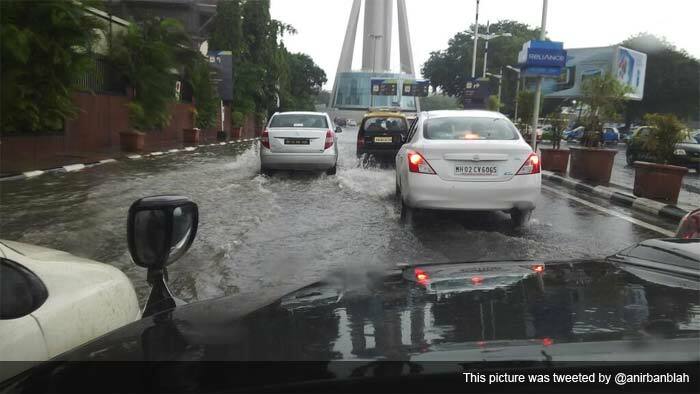 User Anirban Blah tweeted this pic of the Mumbai airport. 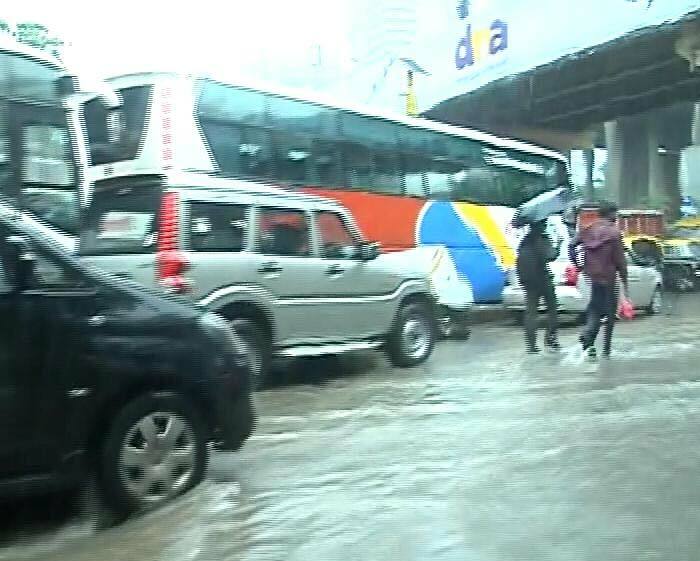 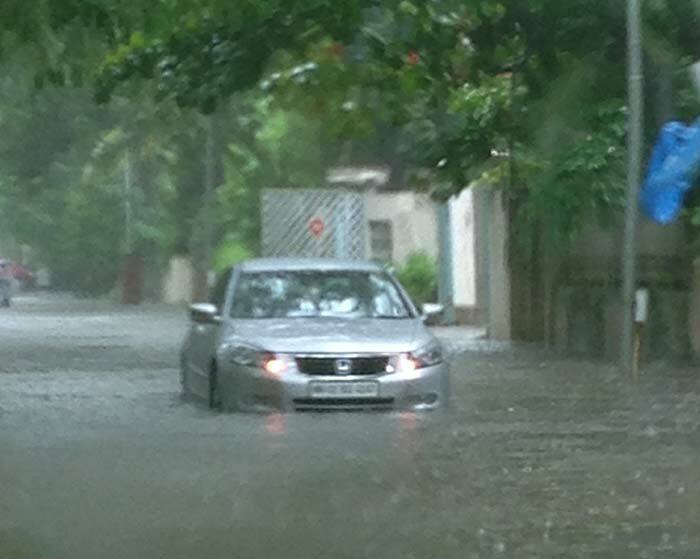 Several vehicles broke down on flooded roads after the heavy rains. 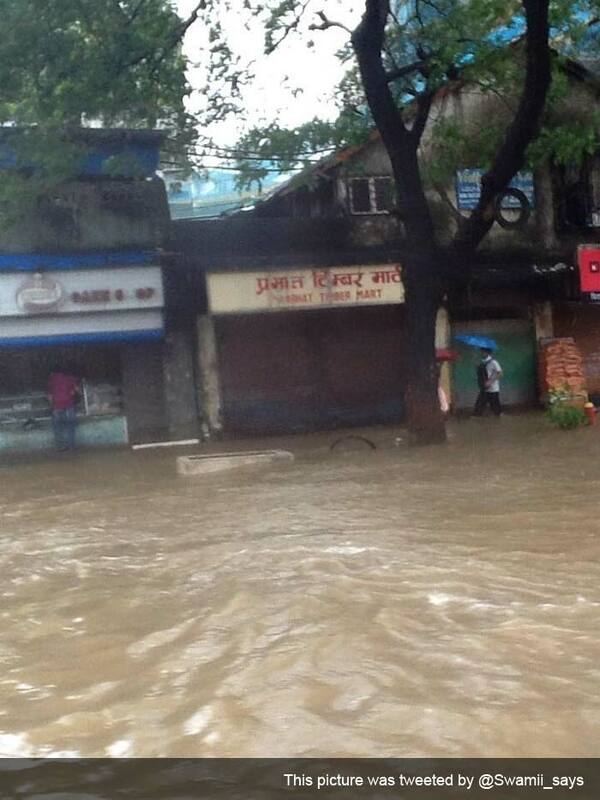 Vineet from Mumbai shared this picture. 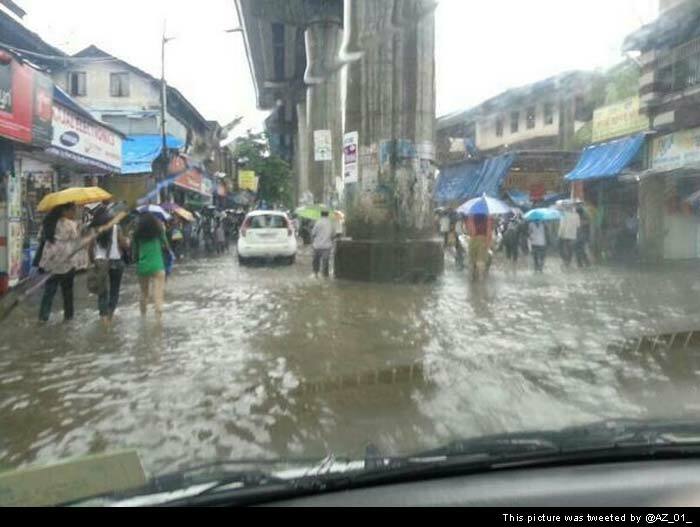 Bernardine Ferreira from Mumbai shared this image. 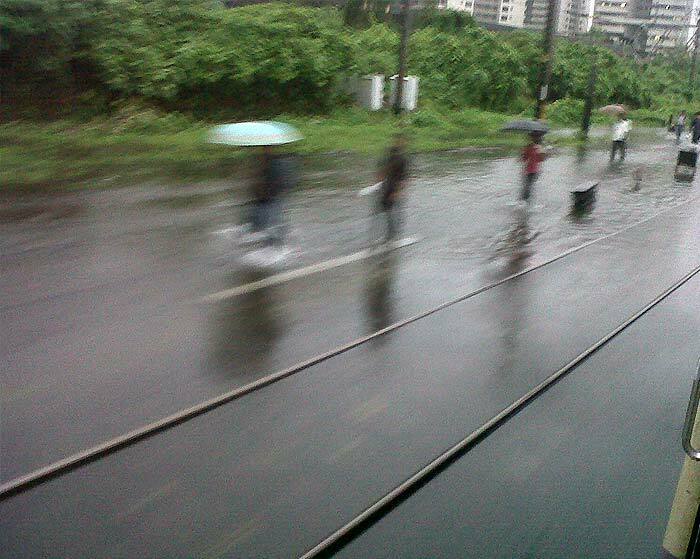 The heavy rainfall has caused delay in train and flight services. 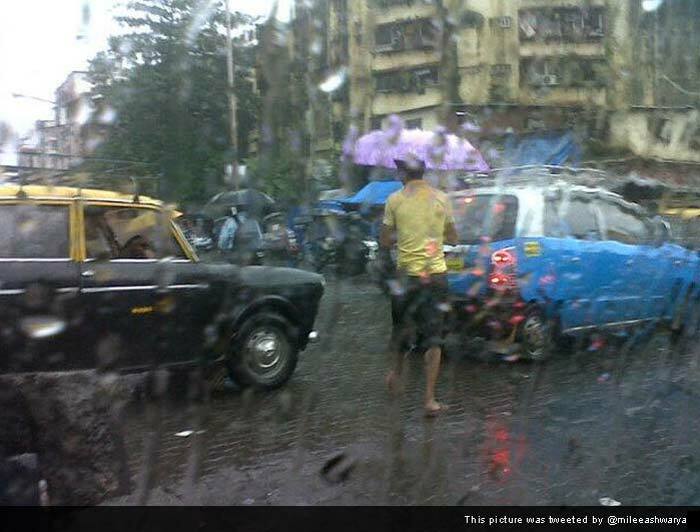 Sasmita Sahu from Mumbai sent this image. 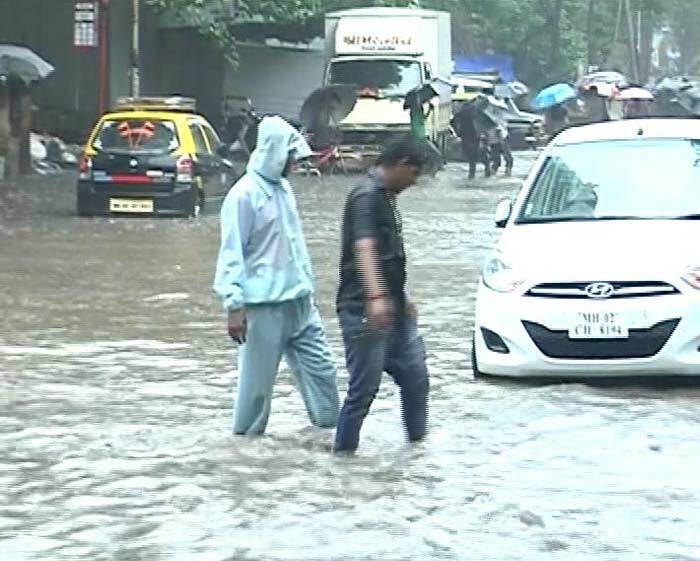 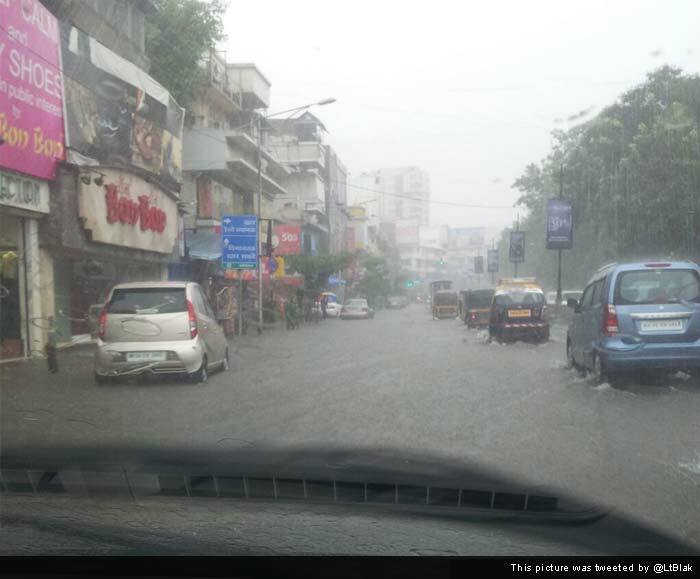 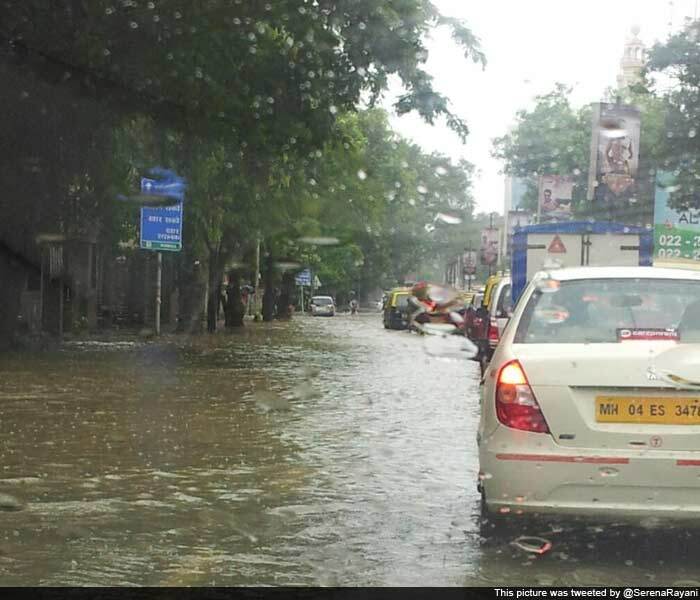 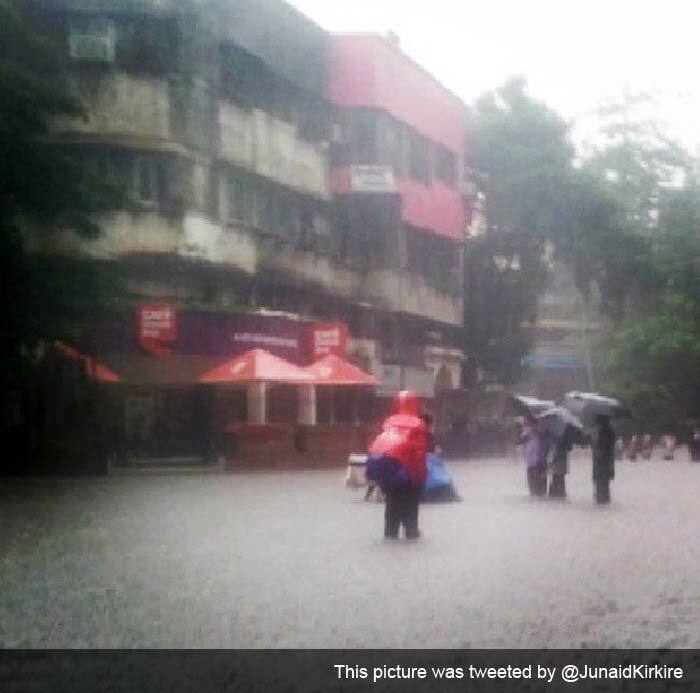 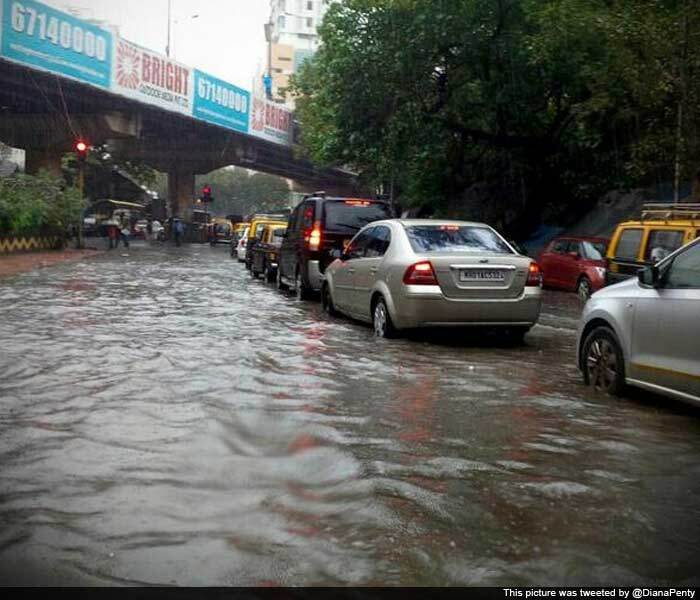 Water logging is being reported from areas like Parel, Kural and Sion in the central part of the city.